Organized by Barbara Jacak, Chris Herzog, Dima Kharzeev, and Nikita Nekrasov. The non-equilibrium dynamics of strongly coupled systems has recently emerged as a focal point of interest in many areas of physics. In nuclear physics, this interest stems from the need to describe the early moments of heavy ion collisions, when the strongly coupled quark-gluon matter is produced away from equilibrium and exhibits a strikingly fast approach to the hydrodynamical behavior. Another important application is the propagation of jets, and the dissipation of their energy in the quark-gluon plasma. In condensed matter physics, the theory of non-equilibrium processes in strongly coupled systems is urgently needed to understand, for example, the behavior of cold atoms and the transport in unconventional superconductors, semiconductors, and chiral materials. 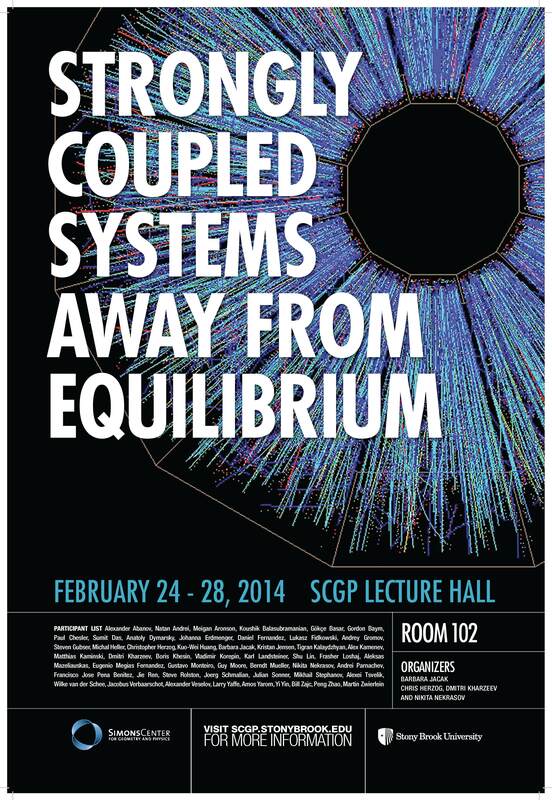 On the theory side, holographic and integrable systems provide novel approaches to the dynamics of strongly coupled systems away from equilibrium. Holography provides computable models for complicated collective phenomena such as thermalization and charge transport. Integrable systems can now be realized in the lab using optical fibers, cold atoms, and low dimensional strongly correlated materials. 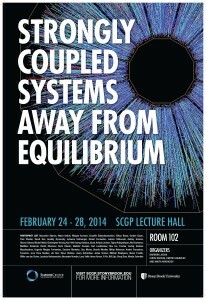 Another focus of this workshop will be non-equilibrium processes driven by quantum anomalies. In contrast to the previously held beliefs, such processes can be reversible and may not lead to an increase in entropy.